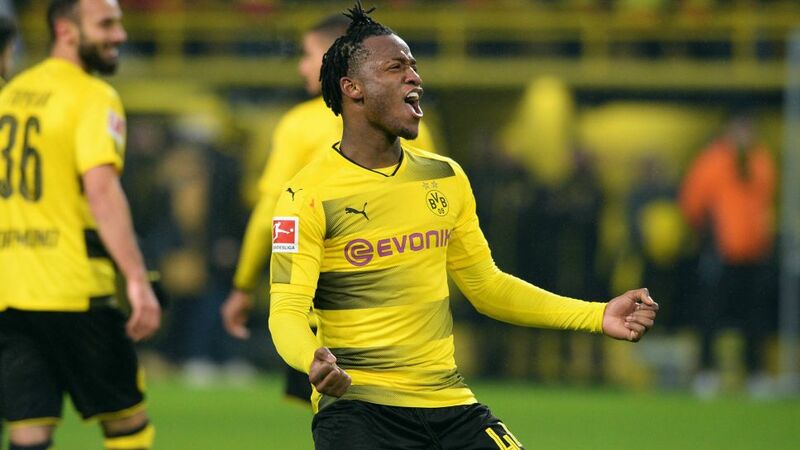 Former Belgium, Cote d’Ivoire and Schalke coach Marc Wilmots is keeping a close eye on the Bundesliga, and Borussia Dortmund’s latest signing Michy Batshuayi in particular. Talking exclusively to bundesliga.com, the man who handed Batshuayi his senior international debut has spoken about the 24-year-old’s first weeks in the Bundesliga at Dortmund, what makes him the player he is, his FIFA World Cup hopes and where his future may lie. bundesliga.com: Marc Wilmots, how good a fit is Michy Batshayi to Dortmund? Wilmots: A really good fit. BVB’s style of play is best suited to him. They have technically impressive players like Marco Reus, Mario Götze and Andre Schürrle behind him, which is giving him the best possible platform to tap into his potential. He can only benefit from this quick and direct attacking play. They rarely play with long balls at Dortmund but rather diligent, tidy play towards the opposition penalty area. He can also benefit from fine passes in behind from players like Gonzalo Castro or Shinji Kagawa. He can only have fun playing in such a fantastic stadium. His decision to go to Dortmund was the best he could’ve made. bundesliga.com: What makes Batshuayi the player he is? Wilmots: He’s quick, full of tricks and calm in front of goal. He’s just as good with his back to goal as in front of it, and he always looks to make those runs that create space for his teammates. He’s just as strong on his left as he is on his right. Off the pitch he’s rather quiet, but always in a good mood with a smile on his face. He’s a cool guy. bundesliga.com: In what areas has he made the biggest improvement in recent months? Wilmots: His charisma. He’s been playing with confidence. He’s showing he’s much more robust, not been shirking challenges and willing to put his body on the line. bundesliga.com: Can he keep up his scoring form until the end of the season? Wilmots: Of course he has to remain free of injuries and in peak physical condition to play every three days. He didn’t play that much at Chelsea so he needs a better rhythm. His smile of late has really struck me. You can see he’s taken on this challenge with great delight. He’s done really well at Dortmund with his goals because things looked rather gloomy at Borussia when he arrived. bundesliga.com: Will he still be scoring goals in the Bundesliga next season? Wilmots: Honestly, that’s tough to say. Every goal he scores draws interest from other top clubs around Europe. Chelsea are likely to have a new coach next year, so you can’t rule out him wanting to build around Michy. Either way, there’s no need to worry about his future. The important thing is that he’s happy wherever he is, and he has to be playing regularly for that. But no one knows how things will be in four months’ time. bundesliga.com: He joined BVB with the aim of getting match practice so he can go to the World Cup with Belgium in the summer. How do you rate his chances? Wilmots: If he keeps scoring like he is, then it’ll be tough for Belgium coach Roberto Martinez to leave him out. He’s competing against Wolfsburg’s Divock Origi for a place. It’s understandable he wants to go to the World Cup because he’s never been to a tournament, while Origi has. bundesliga.com: Does his style of play fit better in the Bundesliga than in the English Premier League? Wilmots: I think he can establish himself in either league. Of course the Bundesliga looks made for him because it’s an attacking league, but he’s proven in his few appearances in England that he can also perform with his back to goal.